I have decided to dedicate the next few weeks strictly to learning more about marketing automation and putting it into action. While my business has some of it I am only one person and can only do so much. This is where marketing automation comes in to allow me to grow my business by massive amounts all while creating a better and seamless flow with my leads and customers. Take a moment and sit back, think about all the things you do every day. Things such as sending emails, following up with prospects, writing up blog posts, posting on social media when you start to add it all up there is no wonder why most days you sit there wondering where all your time went. Still by 8 pm at night your to do list still seems miles long and you feel like you ended up getting no where. But there is a solution to all of this and that solution is… Marketing Automation. Marketing automation is software and processes that are designed to take your daily routine tasks and to automate them. The primary goal is to make your day to day activities more streamlines so you can save time on the tasks that do not require you to be there. You will find yourself with more time to do the meaningful things such as direct interactions with your followers, customers and subscribers. The ultimate goal from all of this is the ability to scale your profits and your business to levels you would not have been able to do previously because of the time you where sinking into the tasks in which you have now automated. 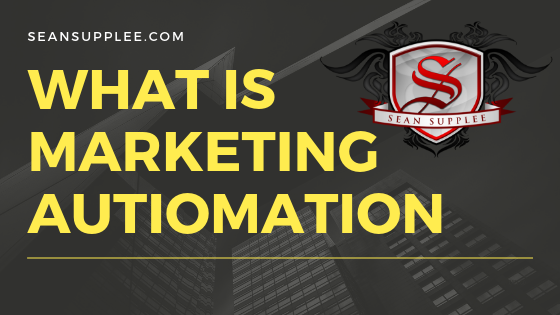 How Do You Use Marketing Automation ? You most likely are already familiar with email autoresponders. Where you can either send out a massive broadcast to everyone on the list or you can take them through a email follow up sequence. 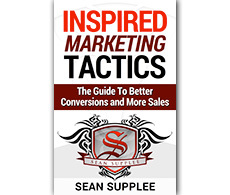 This email series will be building up to one main goal which in most cases is to sell the product or service. There might be other small goals within that such as increasing following but the main goal of an email follow up is the sell. The main issue with this is that it is old marketing tactics from 1990’s. Email follow ups have been around forever and there are now more and better means of reaching out to your new leads and nurturing them. Some of these methods would be automated voicemails, text messages, Facebook bot messengers, desktop messages and more. This biggest flaw of all of this is that each system at the moment works independently which can create mass confusion and make it near impossible to create a truly flawless market automation for your business. However that is changing and it is changing with a system called Follow Up Funnels which is created by the company ClickFunnels. With ClickFunnels you can now take all of these new aged follow up systems such as email, text, voicemail, Facebook etc. and created a responsive follow up sequence that uses them all. It also checks for actions within your sales funnel and can alter the messages that lead gets based on the actions they have taken such as buying a product, signing up for a webinar, visiting a page and so much more. 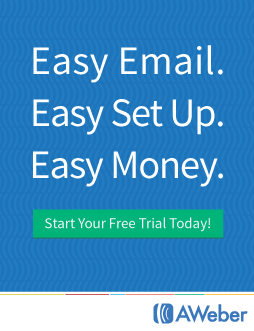 If your looking to truly take your business into a new area of smart marketing automation then you need ClickFunnels. Below is my affiliate link if you wish to use it to sign up for a free trial.